I've recently came across a bad news regarding a few nail polishes. Last month, the Consumer Council found high levels of toxins in some brands of nail polishes and base coat products. Council's Chairman of Publicity Ambrose Ho said that they found some nail polish samples that contain toxic chemicals and cancer-causing substances. He added that these compounds seek its way to the body through the nails, skin contact, or through inhalation. In the council's review, it found Benzene in polishes by South Korean brand Skin Food, Flower and BNC manicure as well as in a polish by Volili. 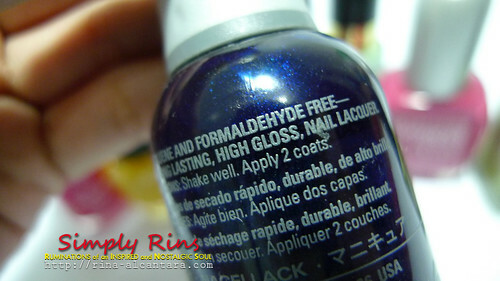 After reading about this bad news, I immediately went to my stash and gathered all my BNC and Skin Food nail polishes. My BNC and Skin Food polishes. I've recently just purchased the BNC polishes from Market! Market! They're were being sold rather cheap so I grabbed a few colors. It's a Korean brand and it didn't have any ingredient information on the bottle. These specific polishes were not listed in the chart (see first photo) provided by the council. But I really don't want to take a risk. No more BNC polishes for me! I've been using Skin Food nail polishes for quite some time now. I have put them aside also, together with the BNC polishes. I admit that nails is my weakness. But this news serves as a lesson that I have to be responsible in choosing my polishes. I've scrutinized my stash again and looked at the bottles to see if ingredients were indicated. ingredients information in their bottles. Health shouldn't suffer for the price of beauty. Let us now be careful with our polish purchases.